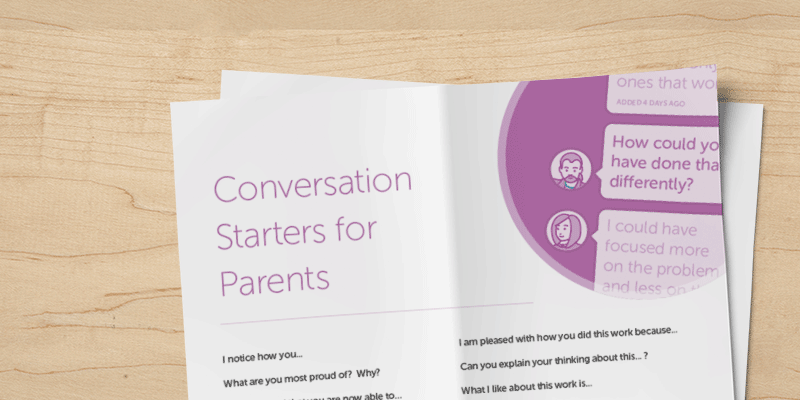 Help parents engage in their child’s learning with a free printable handout of 17 parent conversation starters. We know that students perform better at school when their parents are actively involved in their education. 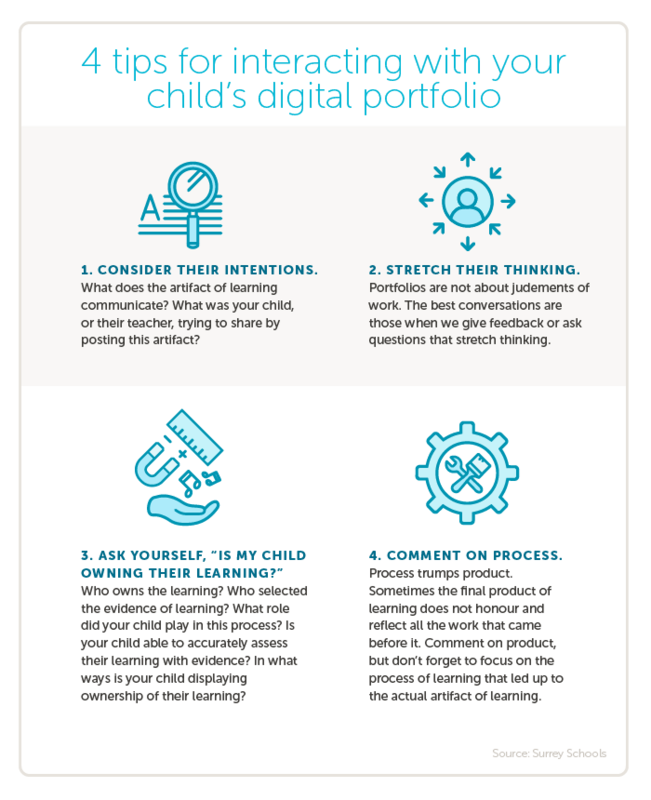 Encouraging parents to comment on their child’s digital portfolio is a great way to reinforce learning and increase growth. Through ongoing dialog, you can ensure parents are on the same page as their child. Sound easy? Well, you may find that even the most involved parents struggle knowing what to say about their child’s work. When you first welcome parents into their child’s portfolio, the first comments they make may include a lot of “good job’s.” While this positive reinforcement may sound encouraging, it doesn’t provide the constructive feedback that students need. Consider their intentions. Ask yourself why your child or the teacher shared this artifact. What does it try to communicate? Stretch their thinking. Don’t judge your child’s work. Give feedback or ask questions that could expand their thoughts. Question student ownership. Is your child taking initiatives in learning? If so, what are the evidence? How did he/she assess learning? Comment on the process. Keep in mind that it’s the process documents students’ progress over time, not the final result. Looking to help parents comment on their portfolios? Download the parent conversation starter handout at the link below to help facilitate a deeper conversation between students and parents. For parents whose first language is not English, these prompts are available in French Canadian, Korean, Hindi, Chinese, Spanish, and Filipino. This content is reprinted with the kind permission of Surrey Schools.